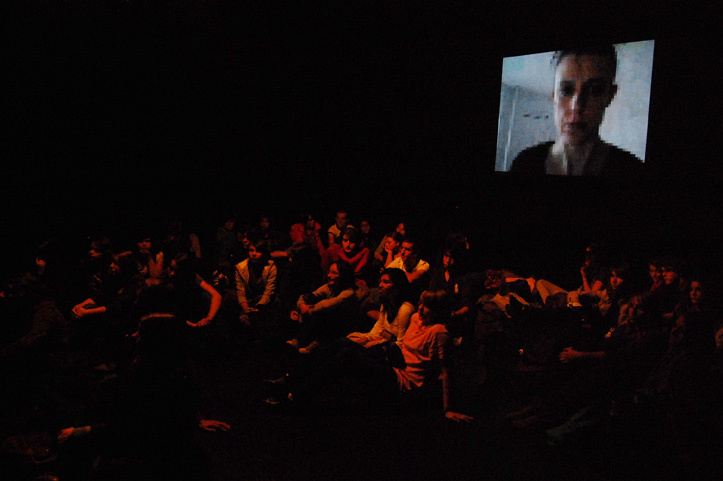 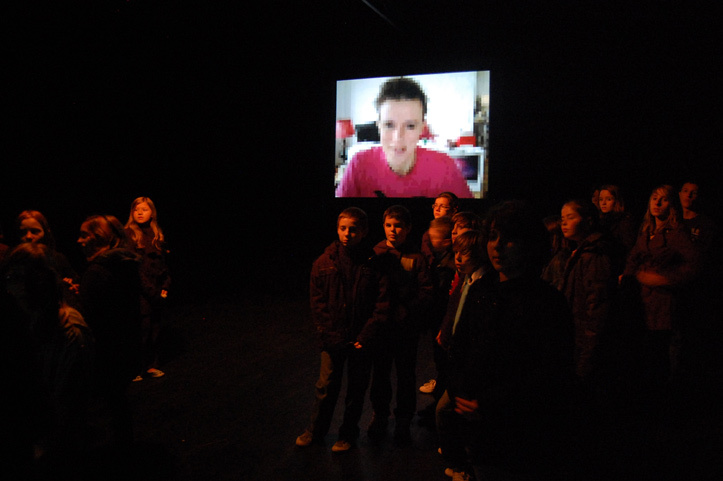 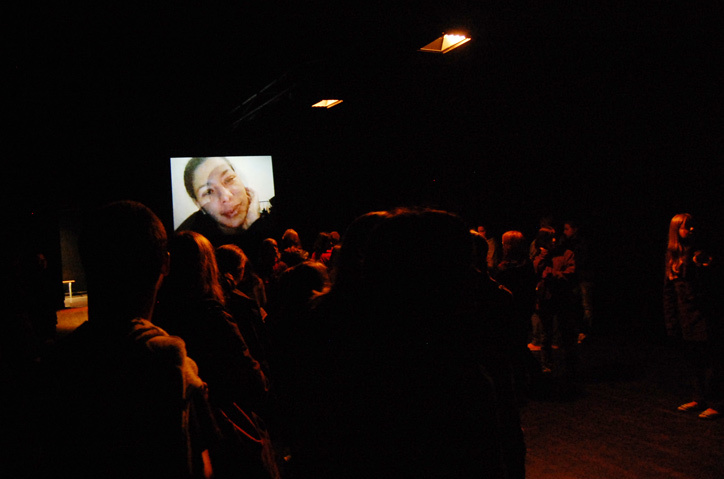 "Portraits Lents" is another iteration of the installation "Screened Calls & Slow Portraits" adapted to two locations in France, a gallery in the prestigious New Media School the ESAM in Caen and a Theater, Le Préau, in Vire. 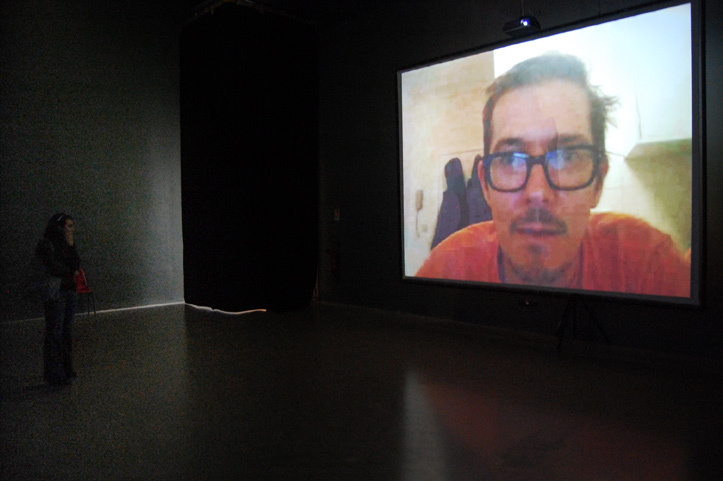 The 2 channels video installation documents and comments on 77 long-distance conversations I conducted online with 7 friends and family members throughout one year, using the software Skype*. 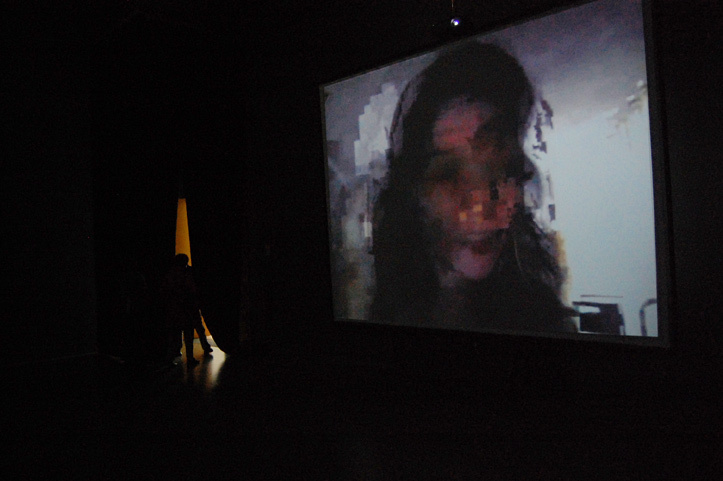 "Using Skype as a medium for generating temporally destructive portraits and self-portraits, Hallier redefines portraiture for the digital age." 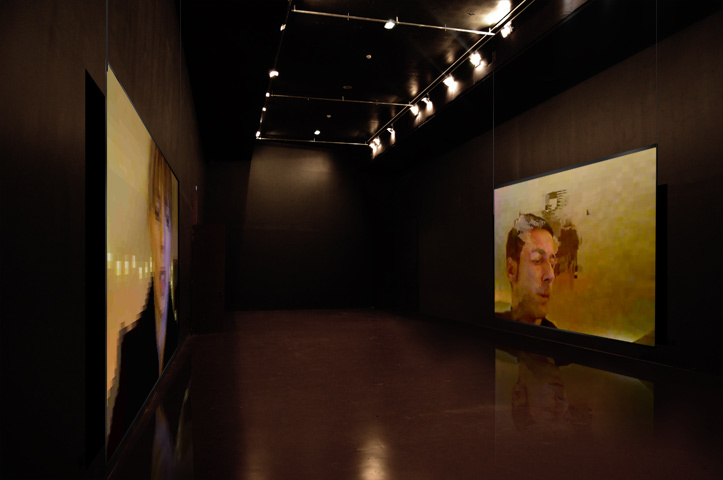 Installation view at the ESAM (Ecole Supérieure d'Art & Média), Caen, France. 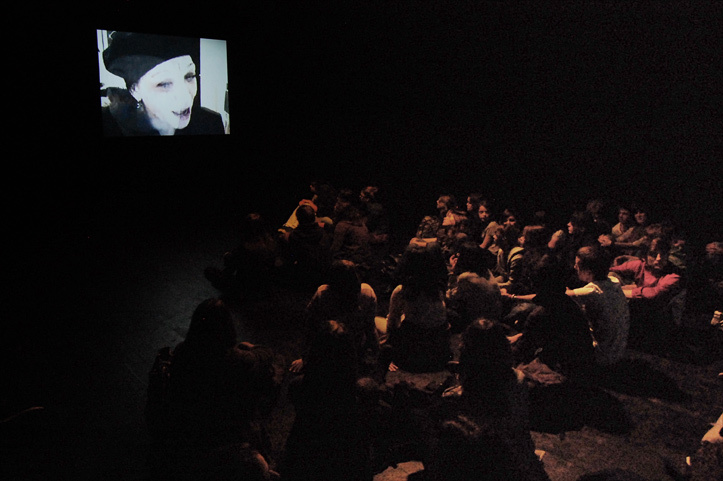 Installation view at Le Préau Theater, Vire, France.